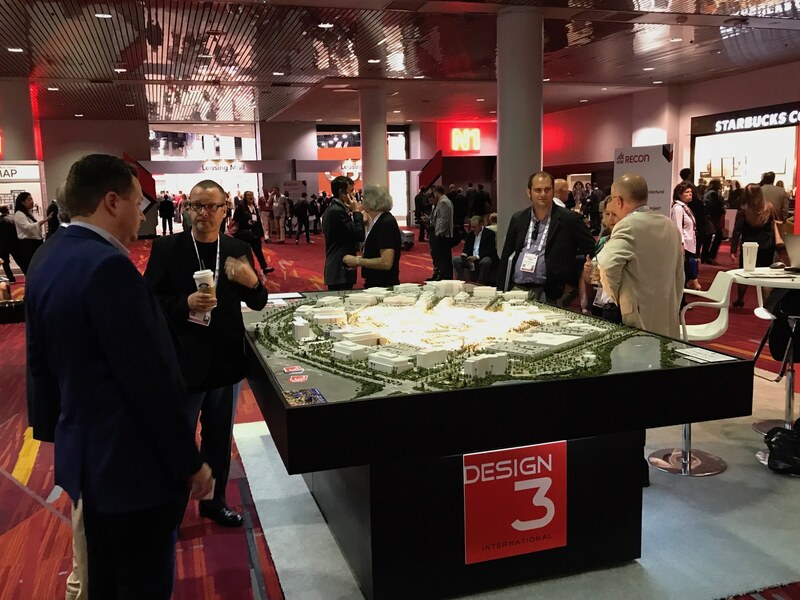 The Design 3 International model display of the Lake Nona Town Center project was the center of attention at the 2018 ReCon conference held in Las Vegas in May. Thousands of conference attendees stopped to ask questions about our model and get more information about the project. Developed by Tavistock, the 100-acre Lake Nona Town Center will serve as the defining anchor and amenity for the 11-square-mile, master-designed Lake Nona community and the greater Orlando region, featuring more than 3.8 million square feet at build out. Adjacent to the Orlando International Airport and destined to be one of the premium shopping destinations in the region, Lake Nona Town Center will provide an impressive collection of more than 1 million square feet of high-end shops, from department stores and large-scale retail to trendy fashion boutiques. Located in the southern region of Lake Nona, the open-air center will also include restaurants and hotels, plus a variety of entertainment options.